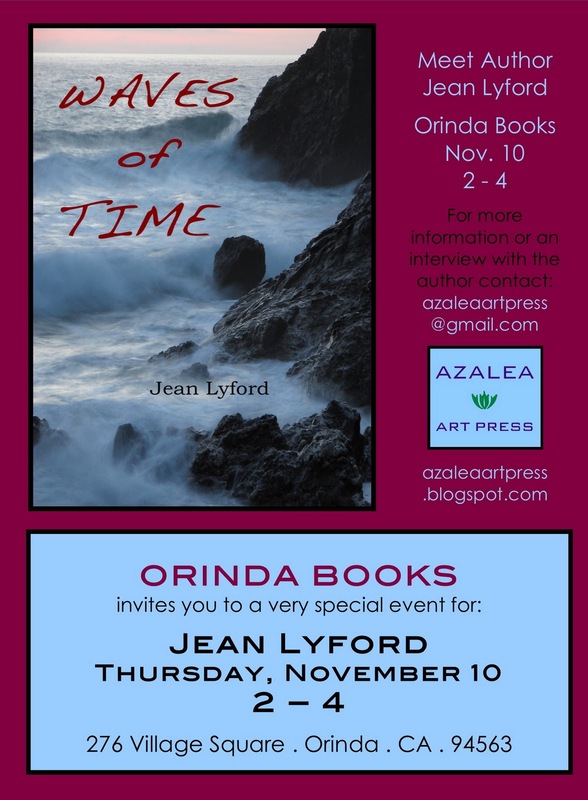 on the publication of her new book of poems, WAVES OF TIME by Azalea Art Press in Berkeley, CA. The lyrical poems of Jean Lyford possess a powerful dignity and an unerring eye for the details of nature. Reflecting on love and loss, Jean offers us a transcendent view of the human journey and the rewards of renewing our connection with our personal past. Meet the Author on Thursday, November 10th at Orinda Books and hear Jean read selections from her work. To pre-order books, click here.